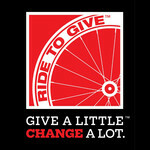 Ride to Give is excited to partner again with 501c3 Georgia charity Sunshine on a Ranney Day for a special bedroom makeover. On a typical weekend four and a half years ago, Elijah Kimaru of Hampton, GA woke up with a fever and in great pain. Over the next few days, Elijah stopped walking, became very lethargic, and refused to eat. He parents Emily and Paul Kimaru grew increasingly concerned when he did not improve. Elijah's pain was a mystery but after a week of numerous tests, an ultrasound finally confirmed his parent’s worst fear - their baby had an aggressive tumor on his kidney. After being transferred to Children’s Healthcare of Atlanta, 21-month-old Elijah was officially diagnosed with Stage 4 Neuroblastoma. Neuroblastoma is a particularly aggressive form of childhood cancer that grows off the adrenal glands in the kidneys and can spread into the bones. Sadly, doctors informed Elijah's family that the survival rate was only around 20 percent. To increase his chances of survival, Elijah immediately began chemotherapy and underwent a four-hour surgery to remove the primary tumor and his kidney which was severely damaged. Overall Elijah has six rounds of chemotherapy, two stem cell transplants, twelve rounds of radiation, and five rounds of antibody therapy with Accutane. Once he finished his traditional treatment protocol, Elijah was enrolled in a trial for DFMO, an experimental drug to help him remain in remission. It all seems to have worked! Elijah is now 6 years old and in kindergarten with no evidence of the deadly cancer that threatened his life. He currently has follow-up scans every six months and has his first survivor appointment this Spring. While his prognosis is not a given, Elijah seems to have beaten the odds by beating cancer. To honor his incredible courage, the Kimarus reached out to SOARD for a dream bedroom makeover, and to their surprise, Elijah was chosen. Over the next two weeks, SOARD plans to transform Elijah's bedroom into a vibrant gaming oasis with colors as bright and outgoing as he is. Ride to Give is excited to see Elijah in his new superhero bedroom and be a part of this well-deserved makeover. Please assist Ride to Give as we raise the supplemental funds needed to complete this SOARD project. You can keep up with Elijah's makeover progress by following Sunshine on a Ranny Day on Facebook.